We all have a specific way we live our lives. We have a certain breakfast we eat, or don’t eat. We eat what is available to us, or we carefully choose. Exercise and wellness are a daily part of our consciousness, or it is something we take for granted. Our habits, routines and rituals are part of our normal everyday existence. But have you ever considered that maybe the normal behaviors in your life are possibly the reason you are not reaching your goals or living your best life? And have you ever considered creating a “new” normal? A lifestyle perfectly crafted to help you succeed? It helps to remember that anything that is comfortable or routine was once uncomfortable and new. It was a methodical process of day in and day out that firmly entrenched these habits into your life. In fact, the changes were so subtle that you may not have been aware of them, until one day you realized that you have a bowl of ice cream every night at 9:00 and the last time you went for a run was in 1977. Huh? There is “what was”, “what is” and “what will be”. Unfortunately, most people stop at the “what is” and never bother to think about the “what will be”. The future is ours to create. As easily as you slipped into today, you can slide into tomorrow with a new lease on life. It all starts with small changes. Lateral shifts that are as easy as shifting your weight from one hip to the other. Begin with awareness. What are the areas in your life you would like to improve? Make a list of what you would like to change. If your diet is one of them, start at the beginning. Clean up your breakfast. What is one small thing you can do? Shift from cereal to oatmeal? Great. What about snacking during the day? Be a harsh critic of some of the processed treats you are consuming. Switch one of these for a piece of fruit and nuts. Look at your water intake. If you don’t drink any water, add one glass a day and build from there. If it is exercise you are lacking, aim to walk for 10 minutes every day at a particular time. Start small and be consistent. 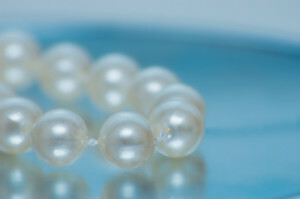 You create a new habit with forward motion and linking each day to the next like a string of pearls. Keep taking action for 30 days, until these new habits are firmly woven into your life. Then aim for a few more changes. As you keep going, cross off your old habits and add your new ones until a new picture of your life emerges. This will be your “new” normal. With this new normal, comes a new you. Aren’t you just a little curious to see what that would look like? Leave a comment below and tell me what you would like your new normal to be.